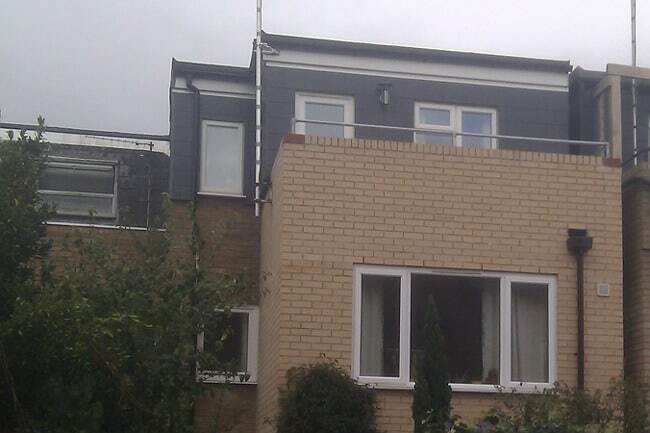 An interesting house extension arose because of a neighbours extension and balcony. The neighbour to the right had added a balcony, from which they had a good view of our client’s windows. Moreover, being a good neighbour, our client wished to minimise the impact of his extension on the left-hand side neighbour. As Cambridge Architects, we know that many houses and gardens are relatively small, given the price of the property. Our house extensions can add considerable additional space to our client’s home, yet minimise the impact on a small garden. 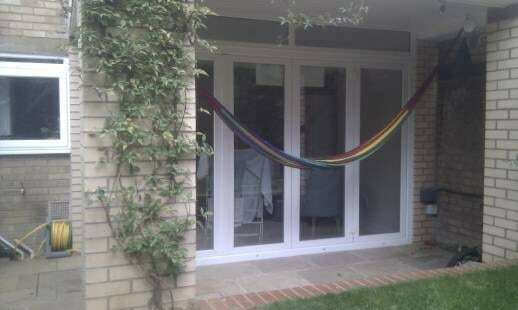 In this instance, we built the extension on columns. This created a useful ground floor terrace, and maintained the size of the small garden. We also extended the house to provide an improved kitchen/dining area, a double bedroom/en-suite bathroom on the middle floor, a double bedroom on the top floor, and a balcony. We also designed the roof and balcony to be maintenance free, using the latest flat-roof technology. We also appreciate that whilst the contractor is on-site, it is a low cost opportunity to fix many nagging problems.However, these problems have to be clearly described in the tender specification, rather than discussed once the contractor is on-site. So, we added outside lights, light and power for the garden shed, and replastered a kitchen wall. In addition, we recommended moving the boiler, which was due for replacement, a couple of metres. Thus we could enhance the plumbing with an efficient boiler and a mains pressure hot-water system. For little additional cost, our client can heat each floor separately, and has gained more usable kitchen space. As the shower is on the top floor, our client now enjoys powerful showers. The design also enabled easy access to the flat roof, which simplified the latter installation and cleaning of solar panels. We provided continous support throughout the project, so the total costs matched our client’s original expectations. Before we finalised the design, we tackled the groundwork, as most problems are below ground. We discovered the foundations were deep, but the house was built on an old bakery, which meant a concrete base on piles was required. Although there were problems building the base, we ensured the contractors accepted that these problems resulted from their negligence. When construction above ground began, building rates were relatively high. Nevertheless, we found reasonably priced contractors, who delivered high quality work, especially the brick-work. Partly, this was because we drew-up a clear and detailed specification.